On 3 January Ethiopia Prime Minister Hailemariam Desalegn announced that the government would release political prisoners and close the notorious Maekelawi prison in a bid to ‘foster national reconciliation’. The announcement followed almost three weeks of deliberations by the ruling Ethiopian People’s Revolutionary Democratic Front (EPRDF) coalition that culminated in an extraordinary statement the day before the announcement, on 2 January, in which the country’s leadership assumed responsibility for Ethiopia’s ongoing crisis and acknowledged the need to expand democratic space, allow for a more active civil society, and to address governance problems. The statement and subsequent pledge to release political prisoners will rightly be met with both optimism and scepticism. That the government swiftly backtracked on the use of the term ‘political prisoners’ and instead said ‘some members of political parties and other individuals’ will be pardoned encapsulates this. The government has never admitted to the existence of political prisoners and appears to remain reluctant to fully acknowledge this fact. There are more than 1,000 Ethiopians facing charges under the country’s restrictive Anti-Terrorism Proclamation, including prominent opposition leaders such as Merera Gudina. How the government defines those to be released will be indicative of its commitment to meaningful reform. Real commitment to ensuring the emergence of ‘organised civil movements’ and that ‘human and democratic rights of citizens’ are upheld, as pledged in the 2 January statement, would see the repressive Anti-Terrorism Proclamation, as well as similarly draconian laws that have decimated civil society groups, such as the Mass Media Proclamation and Charities and Societies Proclamation, altered or abolished. Doing so would also indicate the reformist rhetoric is more than mere window dressing designed for external audiences such as the array of donors whose financing the government relies upon. Nevertheless, even as the government committed to opening democratic space, all too familiar authoritarian language permeated its statement. These included assertions that ‘corrective measures’ would be taken against media outlets deemed to be disseminating ‘destructive’ information; that the Executive Committee would take ‘full responsibility to avert violent activities of anti-peace elements’; and, a promise to ‘obliterate the activities’ of ‘parasites’. Such comments echo language previously used by the regime that tend to foreshadow a crackdown, not the opening up of political space. While there are many reasons to be sceptical, the importance and potentially path breaking nature of the events of the past few days should not be understated and represent a victory for those who have risked their lives to take to the streets of Oromia, Amhara and Southern Nations, Nationalities and People’s regions over the past two years. Concrete reforms will be expected over the coming months, but already the protests have succeeded in forcing a change to a new mixed electoral system in which proportional representation will be used alongside the existing first past the post model, while two of the ruling EPRDF coalition members; the Oromo People’s Democratic Organisation (OPDO) and Amhara National Democratic Movement (ANDM) have over time become more responsive to their constituents’ demands. 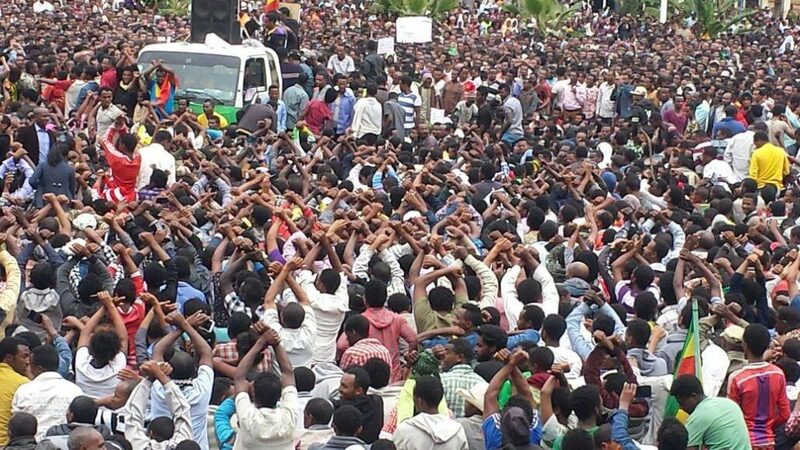 Despite this, the EPRDF still has much work to do to address the grievances that have fuelled the protest movements and to begin to gain the trust of citizens. It may be unable to fully do so as long as the hegemony of the Tigrayan People’s Liberation Front (TPLF) within the EPRDF continues. Land governance, which has been at the heart of protests, must be addressed, while the government is perceived among marginalised populations to have preyed upon ethnic divisions and fomented ethnic conflict. 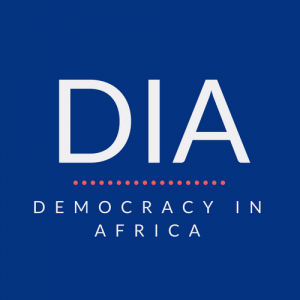 The most prominent example of this are the recent escalation of violence along the Somali-Oromia border, where the security services have been accused of human rights abuses. Their actions in the weeks ahead, as well as those of the EPRDF leadership, will go some way to determining the course of demonstrations. The government also faces challenges stemming from regional instability, the ongoing dispute with Egypt over the Grand Ethiopian Renaissance Dam and from foreign currency shortages that have paralysed the economy. These shortages have given impetus to those who favour opening up the economy to greater private and foreign investment, reportedly including new TPLF head Debretsion Gebremichael, and as a result 2018 could see significant changes to the structure of Ethiopia’s economy as well as its political and social spheres. Ultimately, the fact that the government appears to have moved beyond severe repression and has now in some part acknowledged its authoritarian and corrupt tendencies is a step in the right direction. However, this will only avert the disintegration of Africa’s fastest growing country if this reformist rhetoric is matched by a new reality. Samuel Stratford is a political risk analyst whose academic background is in international development and humanitarianism.